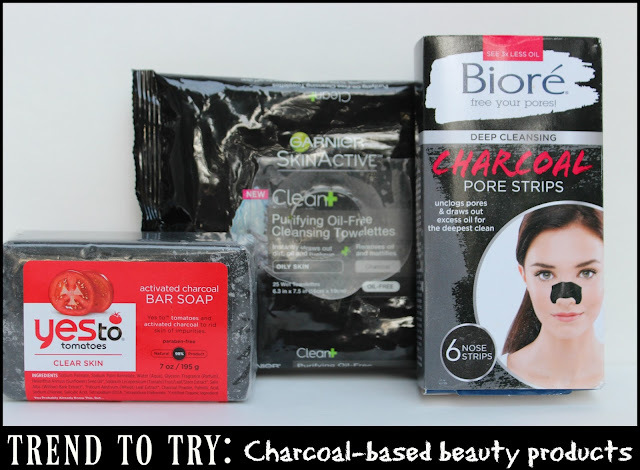 Activated charcoal has become the beauty product of the moment. It's popularity is quickly increasing, and it's popping up in cleansers, face masks, soaps, and even toothbrushes and toothpastes. Beauty editors are raving about its ability to absorb toxins and pollutants to leave your skin flawless. When I recently had a rash of menopausal breakouts, I decided to add a few charcoal-based beauty products to my arsenal and put them to the test. Here is a roundup of the products I tested and how each worked for me. This bar soap is formulated for both the face and the body. It's purpose is to rid the skin of its impurities and toxins. Activated charcoal helps to balance and detoxify for clearer, brighter skin. My thoughts: I've been using this soap on my face only, and so far, I am loving it. It has a light scent of tomato vines, and has been effective at helping to clear peri menopausal breakouts on my chin and forehead. These convenient towelettes instantly draw out oil, excess moisture, and pore-clogging dirt from the skin leaving you with a matte complexion. My thoughts: I've been using these towelettes nightly for about a week. Although the product claims that results will be seen after 4 weeks, my skin is less oily and more matte, with a lot less shine. These strips work like a magnet to instantly draw out deep down dirt and oil that can cause blackheads and acne. My thoughts: I loved the way these strips worked. I could feel tingling as soon as I applied it. However, they are limited to your nose only, and I need something for my entire face or T-zone at the least. This product would be more idea for the entire face.